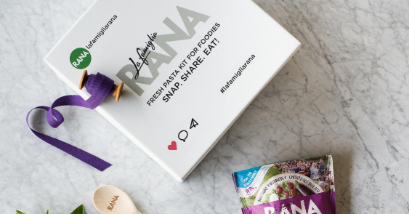 La Famiglia Rana has launched a range of fresh pasta kits, and to celebrate are opening a five week pop-up Italian grocery at 51 Marylebone High Street (the top end). Visit from 9th November to buy their kits, plus lots of hard to find Italian produce and household accessories. There will also be classes - sign up here - including Italian cookery, and wine pairing. The space will be very Instagram friendly, and photography will be actively encouraged!